API’s are becoming a key to revenue growth and connectivity. 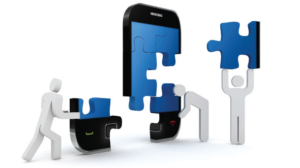 With the continuous advancement of mobile technology and a mobile world demanding “right now” services API’s have become the glue that connects current and older legacy systems. APIs are becoming the key drivers for very connected brand engagement, revenue growth and customer satisfaction in a cost effective way. APIs have come a long way in their overall strategic a corporation trying to manage the ever-changing technology growth whilst gaining the best results from legacy systems. Application program interfaces (API) are a set of tools and protocols designed to allow one program talk to another, allowing multiple legacy systems and implementations talk to clients through a mobile interface without compromising the interface or the backend systems. API implementation has broadened to refer to not just the specifics of the API itself, but to allow a networked of collaborative services. Amazon were one of the first to introduce external APIs with an e-commerce engine to booksellers and other retailers wishing to sell on Amazon’s site. This has been extended to facilitate an ecosystem of an API connected sales channel we know today all due to API enablement. API strategy, using APIs to create a functional continuity and backward compatibility are crucial to untilising legacy systems in an increasingly mobile world. iGuide regularly work with our clients to develop API’s to expose some aspects of their data to the outside world to create opportunities for brand enhancement and monetisation of that data. In these days of mobility we are moving from a world where APIs were the domain of deep techies to where almost everyone in the general economy is being influenced by or doing something with API’s to enhance their business. 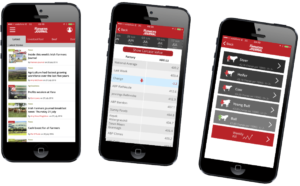 iConnect is an iGuide service that enables data from different sources to be interfaced into a central solution on most Smartphones and Mobile Device. We have extensive experience in the integration of mutiple systems into our platform providing the client with the ability to utilise data from multiple sources, centralise the data, improve data management, security and overall efficiency, without duplication of effort. 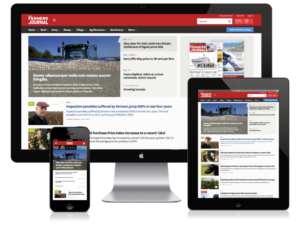 Example: DAA, Farmers Journal, Beef Prices Tool. This fast connectivity allows your clients to see, engage and interact with Web and App services in real-time giving more flexibility to customers and our clients. 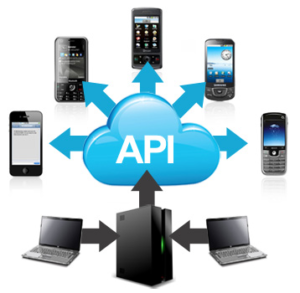 Today API’s play a huge role in mobile connectivity. iGuide have a proven track record with multiple examples of connecting Enterprise level backend systems to iOS and Android mobile applications. API management, if not already, will become a priority for organisations using mobile and cloud based services. Mobile and cloud API management are really nothing more than collections of integrated and interactive services. These interactive services move and place data in and out of storage for specific outcomes, handling tasks and functions in the process. There are basic repository and API tracking technologies that allow you to place policies around, and control access to mobile and cloud API’s. These policies are small procedural programs that allow you to define limitations. For example, organizations could limit API access to a specific time of day, or limit access based on users’ roles. As you continue on with mobile and cloud platforms, you will attain a complex multi API’s environment. As a result the management tools you pick should be heterogeneous. Be sure to tightly integrate your mobile and cloud API management tools with your security tools. These two sets of tools and systems need to share data to properly secure your API’s which maybe targeted in outside attacks. We have moved into an API economy, and with mobile growth APIs are becoming a critical piece of your mobile and cloud based enterprise systems. Standard and re-useable API’s are becoming the norm. Mobile and cloud service API, keep it simple. Mobile and cloud APIs are crucial for a successful of mobile and cloud deployment at an enterprise level, but they demand careful design and management. Here are some frequently asked questions to help you get started. What are the characteristics of a good cloud service API? 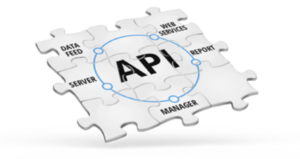 APIs are strategically important to a corporation, so they must be effective and dependable. Every good API is defined by certain characteristics. One important feature of any API is to be availability to multiple operating systems especially to both Windows and Linux developers. In addition, API documentation and example clients should be made public so developers know how to use it. With so much traffic and the prospects of future growth, mobile and cloud API’s need to be scalable in order to withstand increased demand. Security is a top priority, so your APIs need the same authorization and authentication services as other enterprise interfaces. Any upgraded or new API versions should have minimal changes and be compatible with previous versions. Nothing in IT comes without risk, and using API’s are no exception. Cloud APIs have an attack surface that makes them vulnerable to injection attacks. A hacker can attack an API by sending fake API commands to the applications or its components, which can compromise the application. Reference requirements documentation to understand what the APIs should and should not do, as well as how they should be implemented into the application. Sessionless security practices, including HTTP or token-based authentication help prevent attacks. In addition, avoid putting usernames and passwords in code headers. IT pros should also perform frequent security tests on their cloud computing APIs. For data movement we use in cryptography, a keyed-hash message authentication code (HMAC) is a specific type of message authentication code (MAC) involving a cryptographic hash function in combination with a secret cryptographic key. As with any MAC, it may be used to simultaneously verify both the data integrity and the authentication of a message. Any cryptographic hash function, such as MD5 or SHA-1 may be used in the calculation of an HMAC; the resulting MAC algorithm is termed HMAC-MD5 or HMAC-SHA1 accordingly. The cryptographic strength of the HMAC depends upon the cryptographic strength of the underlying hash function, the size of its hash output, and on the size and quality of the key. A common fear when dealing with a cloud provider’s API is vendor lock-in. To minimise such concern iGuide API’s are written in open source code and sit in an escrow account with a legal agreement, leaving our clients with flexibility and freedom.